Despite the title, this doesn’t have anything to do with the commercial again, other than that and a post over at SystemsThinker.com has me thinking about what actually qualifies as epidemic. His really excellent discussion of Borderline Personality Disorder was at one point deemed an epidemic. I found this really interesting mostly because it reminded me that an epidemic can apply to widespread ANYTHING, not just disease that is transmitted or contagious. Specifically, the OED defines it as, “Of a disease: ‘Prevalent among a people or a community at a special time, and produced by some special causes not generally present in the affected locality’” – Oxford English Dictionary Online. Well that’s an interesting definition anyway. Well, so this has me thinking about people killing people and my thought that all epidemic has some root in this. In my thesis I discuss how disease is, at the root of it, people killing people. Whether you intend to infect others or not, you have. But with something like BPD which is still considered an epidemic because it is widespread, I don’t believe one person’s struggle with BPD is the result of their best friend’s BPD. It’s not contagious. So there is a fundamental difference between epidemic and contagion. 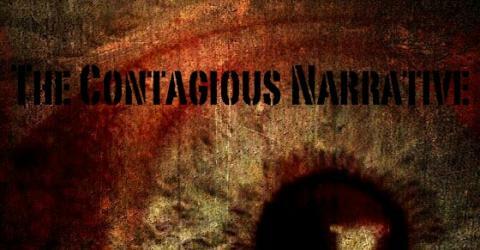 This relates back to the Volkswagen commercial in that pregnancy (technically the result of TWO people) is contagious. Duh. Just because Sarah Palin’s daughter is pregnant, doesn’t mean I will become pregnant. And so I guess where I am struggling is…well…is there anything that CAN’T be classified as an epidemic? It’s a little overwhelming to think that anything that is really popular at one time can be considered an epidemic. When Hanson was popular in the 90’s…was their music of epidemic quality? but at least I can connect the dots there. Something makes the zombies…we don’t know why, but for some reason (let’s say there is something in the water), when you die you now come back as a zombie. That first zombie bites a human. That human is infected, dies their human death…and comes back as a zombie–then they go out and bite more people. People killing people. Got it. Same for vampires, except slower (if we’re going traditional…but I do like me some Buffy), and with that whole blood versus flesh issue (all of this is explained at length in my thesis). Hanson, pregnancy, BPD…I’m having trouble. It’s the difference between being infectious and not, but not being infectious doesn’t necessarily stop something from being an epidemic. So I guess that’s it then. Almost anything can be considered an epidemic…it’s a little scary to think about all of the things in our culture that aren’t labeled as such…but should be. I think that’s plenty for a morning’s jumbled thought process. Help me untangle!